The Tam O’Shanter is Los Angeles' oldest restaurant operated by the same family in the same location. ‘The Tam’ as it’s known by locals, is celebrating its 90th birthday! Lawrence Frank and Walter Van De Kamp, founders of the Lawry’s Prime Rib chain, opened the Tam O’Shanter on a dusty dirt road between Hollywood and Glendale in 1922. This historic restaurant and tavern in Atwater Village has become a bit of a Los Angeles Icon. Near the early movie studios of the area, the restaurant was frequented by many stars including Fatty Arbuckle, Mary Pickford and John Wayne. Walt Disney and his staff were such regulars there that the Tam was coined “The Disney Studio Commissary”! The Disney connection is obvious by a look around the restaurant interior where you’ll find sketches of Mickey Mouse and framed drawings autographed by Walt himself. The lobby is a bit of a Los Angeles history museum! 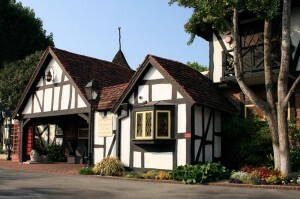 The Tam O’Shanter looks like a Scottish country inn. The inside is dark and inviting, warmed by a fireplace in the front lobby. Throughout the restaurant you’ll find framed pieces of tartan plaids labeled by clan and the wait staff dresses in Scottish-inspired attire. As part of the Lawry’s chain of restaurants, The Tam is famous for its Prime Rib but you’ll still find hearty Scottish-inspired items on the menu like, braised beef short ribs and Toad in the Hole. Make sure to leave room for dessert – their chocolate soufflé with fresh whipped cream needs to be ordered with dinner so it’s ready when you are! If you are a scotch drinker, you won’t be disappointed as their list of available scotches is impressive. Occasionally there will be scotch-tasting events in the restaurant’s bar. As much as I love to sit down to a prime rib dinner, I’m actually quite fond of the Tam’s Ale & Sandwich Bar where a chef whips up hand-carved prime rib, roasted turkey, corned beef, and brisket sandwiches with your choice of sides. I highly recommend the cole slaw with peanuts! Sandwiches are available starting at 4pm and I’ve been known to pick up a few sandwich plates for outings at the Hollywood Bowl. Enjoy live music in the Tam’s Ale & Sandwich Bar Friday & Saturday Night starting at 8:00 PM, or stop by for Trivia on Tuesday nights at 7pm. Though the Tam O’Shanter is a Scottish-themed restaurant, you’d think it was Irish based on their annual St Patrick’s Day affairs! This year’s festivities take place on March 17 from 11am to midnight. 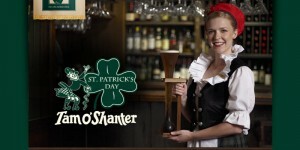 There will be traditional Irish dishes, music, dancing, Guinness pints, Jameson shots and green beer abounding. The restaurant erects a party tent and provides live music all day with no cover charge. This year’s lineup includes: Slugger O'Toole, 29 Mules, Ploughboys and the ever popular Bagpipers. For those visiting Los Angeles, it should be on the map as a place to see when you are in town. If you are planning on dinner, reservations are highly recommended. The Tam o’Shanter is located at 2980 Los Feliz Blvd, Atwater Village.